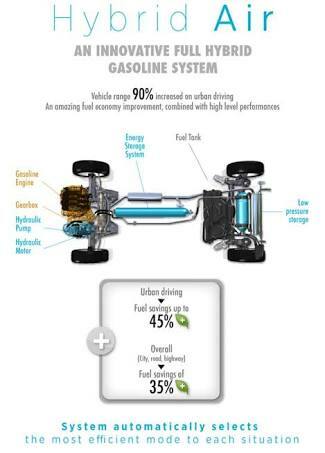 An innovative full-hybrid petrol solution for the car of the future. 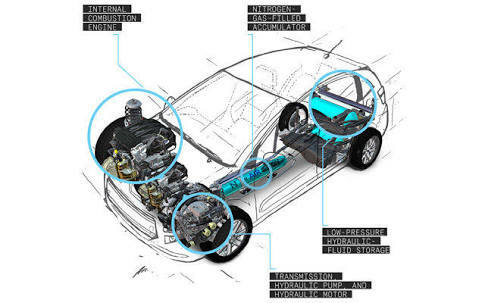 advantages of compressed air and the performance of a petrol engine without using electricity. Fuel consumption has observed that in certification testing for a standard body type (Peugeot 208 or Citroën C3) with no special adaptation. 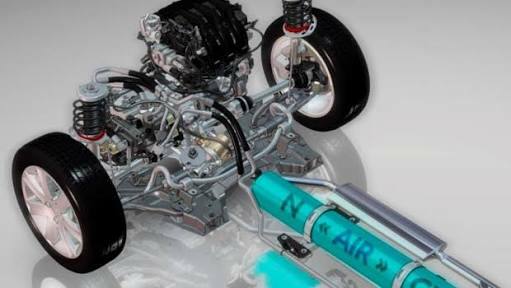 Hybrid Air lies in an all-new combination of technologies with proven performance, resulting in a new type of full-hybrid drive train: petrol and compressed air. 35% reduction overall (city, motorway, road). Air mode has adapted to 80% of urban journeys which is the preferred mode for speeds of up to 70 km/h. This mode stops the internal-combustion engine for a maximum reduction in fuel consumption and zero emissions. for further details please read our next article.